The pictures were sent Thursday to MacRumors, and show a single, centered hole above the screen's display, likely to be used for a camera. 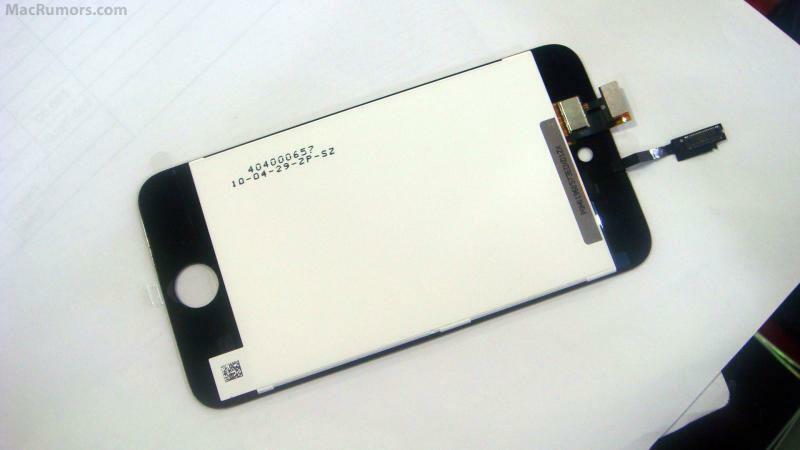 The photos allegedly came from an iPhone parts supplier, and are claimed to be of parts from Apple's forthcoming fourth-generation iPod touch. The part says "Apple (c) 2010," and also has a production date of April 29, 2010, stamped on the inside. 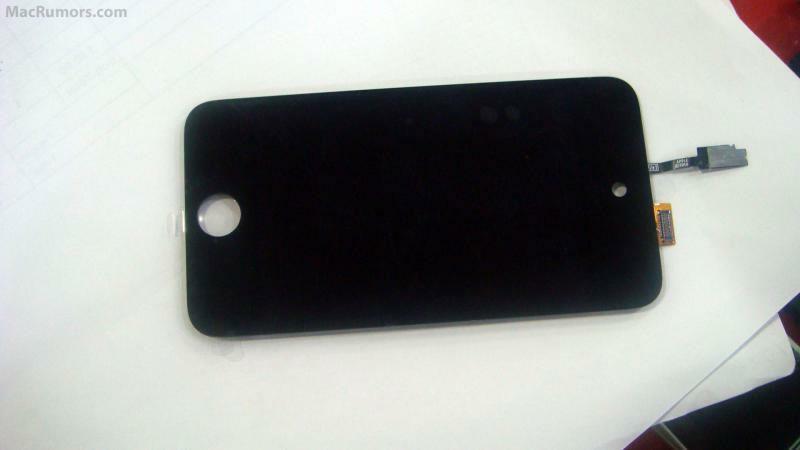 The photos come a day after illustrations from a case manufacturer showed a camera and flash on the back side of the anticipated iPod touch update. If both of these reports prove accurate, it would mean that the next update to the iPod touch would include two cameras, like the iPhone 4. Apple planned to build a camera into last year's iPod touch upgrade, but technical issues with bad camera module parts led to the feature being scrapped. It is believed the camera was removed late in the development of the device, as multiple third-party cases were made with camera holes, and space for a camera was discovered inside the final 2009 model after it was disassembled. The inclusion of a forward-facing camera on the iPod touch would come as no surprise, as Apple Chief Executive Steve Jobs said his company will ship millions of devices compatible with FaceTime this year alone. Currently, only the iPhone 4 is capable of making FaceTime video chat calls over Wi-Fi. Apple is expected to introduce its new line of iPods, including an updated iPod touch, at an event in September, as the company does every year. Patent application reveals Apple-designed "smart bike"